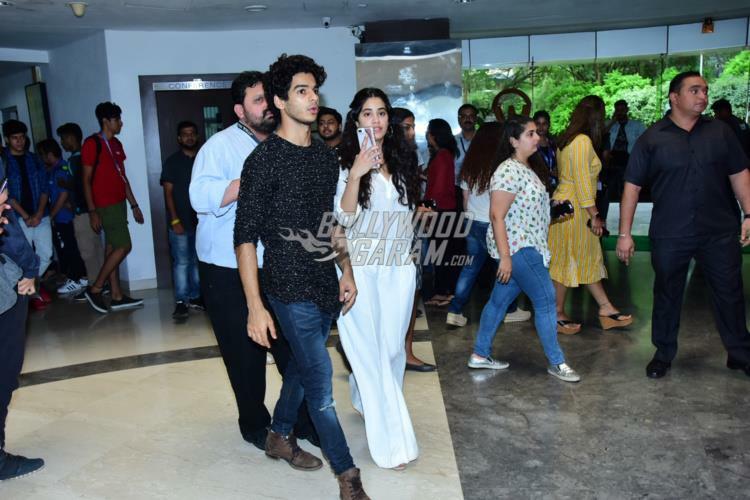 Dhadak stars Ishaan Khatter and Janhvi Kapoor visited Whistling Woods International in Mumbai on August 8, 2018. The young stars were accompanied by director Shashank Khaitan. 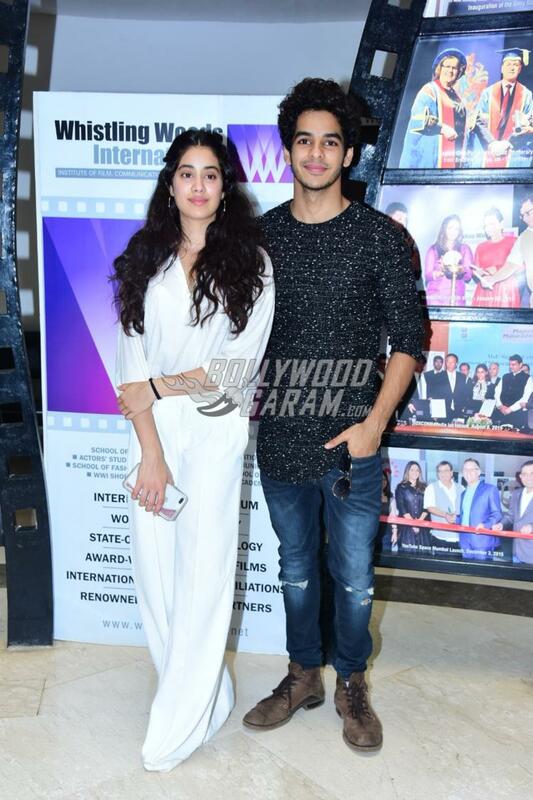 Ishaan looked dapper in a black pullover and a pair of denims while Janhvi looked pretty in an all white outfit. 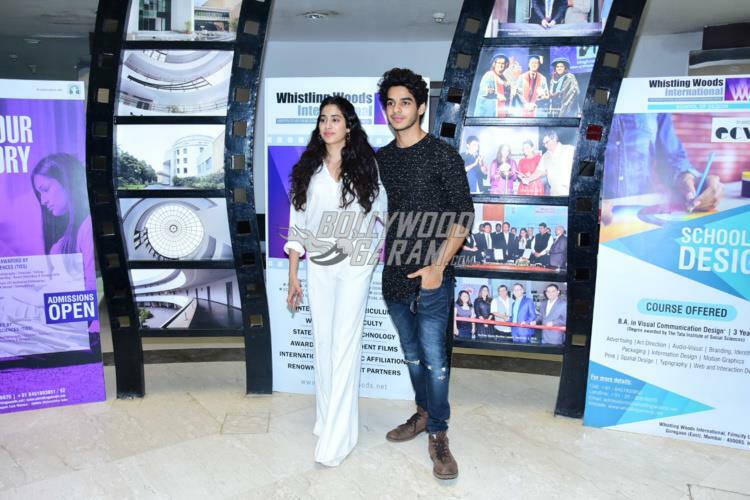 Their film Dhadak released in theatres on July 20, 2018 and had a successful run at the box office. 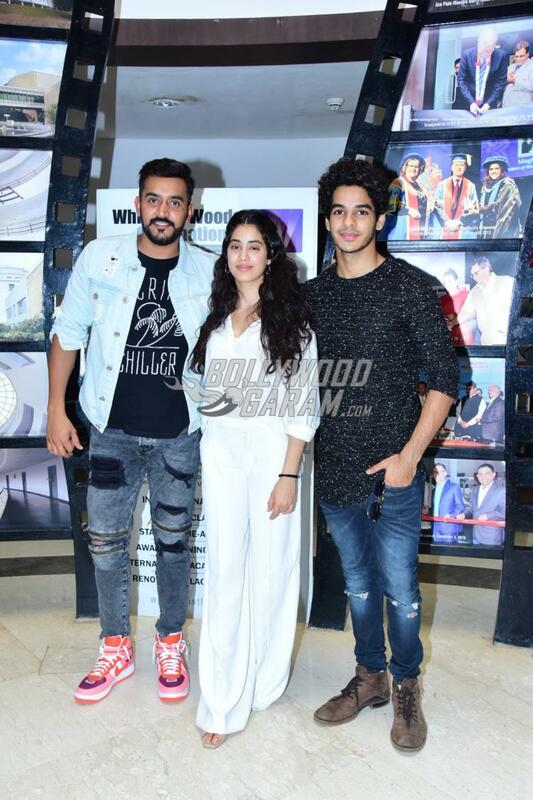 Dhadak marked the debut of late actress Sridevi and Boney Kapoor’s daughter Janhvi’s debut in Bollywood. Ishaan has already marked his presence in Bollywood with the film Beyond The Clouds. 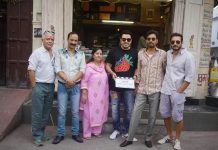 Dhadak was helmed by Shashank Khaitan and produced by Karan Johar’s Dharma Productions. The film was the Hindi remake of the Marathi blockbuster flick Sairat which had Rinku Rajguru and Akash Thosar in lead roles. Dhadak was originally scheduled to be released on July 6, 2018 but was postponed to July 20, 2018. Janhvi and Ishaan received a lot of appreciation from the audience and critics for their performance. Regarding the review, the audience had a mixed reaction to Dhadak when compared to Sairat.